If you don't count my visit in 1977, the first four times I was at WDW I stayed off-site. 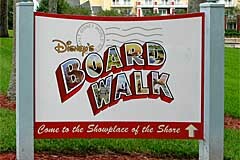 My fifth time there in 2002, I stayed at the Caribbean Beach Resort, and I never looked back. The advantages of staying on site, far outweigh the difference in cost between a Disney moderate resort and a decent hotel on 192 or International Blvd, especially when considering Annual Pass rates. I had grown to love the parks after dark, since that's when a lot of Disney's magic happens as they highlight what they want you to see and paint the parks in light. My biggest complaint throughout all my first four trips, was leaving the parks after closing. The throngs of people, the waiting for transportation to get to the parking lots, then trying to escape the lots and deal with the idiot tourists back to the hotel, who would rather look around than actually drive the car. A Value hotel is the low end room resort. They're priced somewhat similar (when discounted) to a mid-range hotel such as a Best Western or Comfort Inn. They're rather small rooms, around 260 square feet, with minimal amenities. (For instance, no coffee makers are available in Value resort rooms.) The table in the room will hold a laptop, but not much else. Storage is minimal. Value Resorts have no table service restaurants, only counter service. There are five Value Resorts, three of them under the umbrella name "All-Star Resorts". 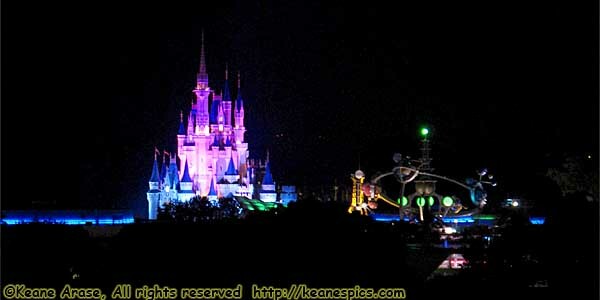 Deluxe Villas are generally DVC (Disney Vacation Club) rooms, and come in four flavors. Studio Villas, which are nothing more than a standard Deluxe room with a small kitchen area that includes a microwave. Instead of two beds, there's one double bed and a fold-out couch with a table. There are other perks like in-room DVD players. One and two-bedroom Villas have doored off bedrooms with private bath, a full kitchen (dishes, silverware, pots and pans, full size refrigerator with freezer, stove, dishwasher, 10 cup coffee maker, etc. ), washer/dryer... all the amenities of home. Finally, there is the exceedingly expensive and hard-to-book Grand Villas, with three bedrooms. I've never even been in one. There are two stand-alone Disney Vacation Club (DVC) resorts, both of which have blocks of rooms that are rented to non-DVC mortals. There are also a number of DVC Villas currently being built, such as those at the Grand Floridian. Common elements to all resorts are daily housekeeping (aka mousekeeping), free Wi-Fi, (and as resorts are remodeled and refurbished) wide screen HD (720p) televisions with breakout boxes for composite, HDMI and VGA. There are also swimming pools (one or more, depending on the size of the resort), a video game arcade, an exercise room, and a gift shop. And of course, Disney Transportation to and from the parks, as well as personal and luggage transportation to and from the Orlando International Airport. Also regardless of resort, your room card is also a charge card. If you're there with a friend, and don't want him/her to have access to your room charge, make sure the front desk issues a card that doesn't have charging privileges. If you bought a package, your room card will also be your ticket media and food credits. Also worthy of mention are Extra Magic Hours (EMH). Extra Magic Hours are extended park hours for on-site guests only. Early EMH opens a park an hour earlier than for off-site guests. Late EMH keeps a park open three hours past it's normal closing. There is an early and/or late EMH at one of the four parks almost every day. These can be hit-or-miss. Sometimes, I swear the EMH park can get more crowded, some will find the EMH park remarkably empty. Disney will also maintain continuous bus service to the resorts during EMH hours. The Values get small fridges, the moderates, deluxes and studios are larger, and the one-bedroom and up Villas have full size fridges with separate freezer, just like you have at home. The quality of the bedding, towels and even toiletries like shampoo and soap is quite different as the level of resort rises. I think this was a surprise to me at one time, but upon reflection, this is true of the entire hotel industry. Due to the sheer number of rooms in each price category, it is probably easier in execution than I realize. There is a discussion about Lodging, Room Types, and Seasonal Boundaries under "Brain Dumps" on my Walt Disney World Overview page. A word of warning. 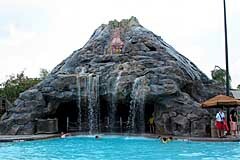 (And not just at Disney Resorts, but anywhere in Central Florida, and any popular tourist spot.) When you get back to your hotel room, there may be several pizza (or other food) delivery flyers that were shoved under your door. (Disney will actively look for these interlopers, and remove them from property.) If you decide to order from one, make sure they actually exist. For instance, on-line reviews or in the local Yellow Pages. An ongoing scam has been to fake up a flyer, and when you call in with your order, they take your credit card number... And then they have your credit card number. You'll never get any food, but you will get some interesting charges on your bill next month. 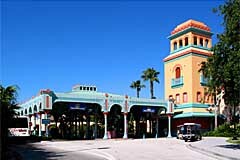 All Star Resorts is actually comprised of three separately themed independent resorts: All-Star Sports (Stayed in December 2006), All-Star Music (in December 2008), and All-Star Movies. I haven't stayed at Movies, but I photographed the resort in 2008 when I was at Music. 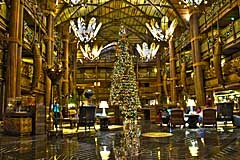 Disney's Animal Kingdom Lodge is the umbrella name for two separate resorts, Jambo House, the original resort, and Kidani Village, a new Disney Vacation Club resort. 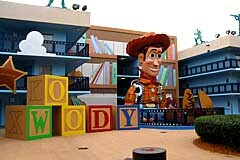 It's my favorite place to stay when I'm down at Disneyworld. 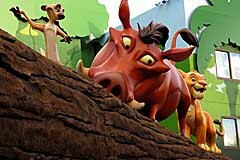 It's an attraction in itself, with its African savannas and themeing. Anytime you want to be entertained, all you have to do it step out onto your balcony. As a plus, the food venues here are outstanding. I've stayed in Jambo House in April 2003, May 2004 and December 2006 (when it was known as Animal Kingdom Lodge) and in Kidani Village in December 2009 and March 2012. Miss Marie, Jenny and I stayed in a couple of Little Mermaid rooms at Art of Animation in September/October 2012 for a week, in adjoining rooms, one of them a mobility impaired handicap room. Disney's Caribbean Beach Resort is the first on-site Disney Resort I stayed at, which started a string of stays at Disney Resorts. Themed after the Caribbean Islands with white sand beaches, this 200 acre resort boasts over 2100 hotel rooms. I stayed here in September 2002. 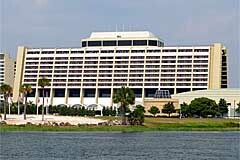 I first stayed in Disney's Contemporary Resort in 1977. No pictures, few memories any my only souvenir is a swizzle stick. But that was changed in 2011, when D23 was putting on Destination D: Walt Disney World 40th, D23's 40th Anniversary celebration. Since it was being held at the Contemporary, I stayed there. I wasn't disappointed. These pictures are from that May 2011 Trip. Disney's Coronado Springs Resort has a southwest/Central American theme, from the step pyramid by the pool to the food court themeing. This is also the only 'moderate' hotel that has a convention center. 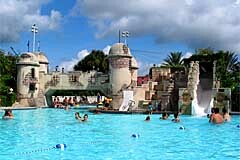 I stayed at Coronado Springs in May, 2005, and again in August 2011. 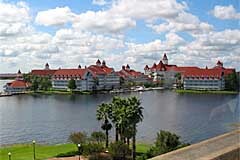 I didn't stay at Disney's Grand Floridian Resort & Spa. But I did have dinner there. I also revisited in December 2010 to see the Christmas decor. 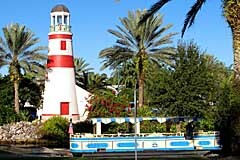 Disney's Old Key West was Disney's first Disney Vacation Club, a sort of a timeshare. It was designed during a time when a widescreen TV wasn't even attempted, so the room I was in didn't have the wall space for one. Another problem with OKW, is it's squeezed between two holes on a golf course with a waterway in the middle of it, so instead of having a circular perimeter there are several dead-end culverts. The Polynesian Resort is another resort that I only visited. For lunch this time, at Kona Cafe. It was very good. These pictures are from May 2011. 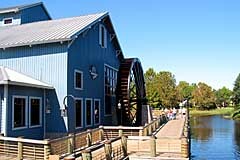 Disney's Port Orleans is really two different resorts under the name 'Port Orleans.' 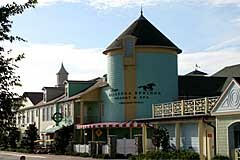 Riverside (formerly Dixie Landings) along with its other half, French Quarter (formerly known as Port Orleans) is themed after the deep South along the Mississippi. I stayed in Riverside in October 2003 and December 2011; and in French Quarter in December 2008. 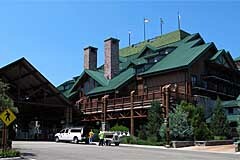 I stayed at Saratoga Springs in October 2007, and again in September 2011. Walt Disney World today can boast some 27,500 hotel rooms across 26 resorts. It's a staggering large number to support and supply, and they do a pretty good job at it. You can investigate everything via Disneyworld's website. You can compare rooms, see which rooms are available, prices and reserve rooms in a few mouse clicks. There are always deals to be had.